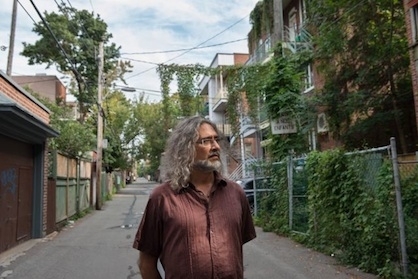 Setting thoughts and conversation in constant motion, Adrian Heathfield and photographer Hugo Glendinning encounter the renowned philosopher and cultural theorist Brian Massumi while walking the streets of Montreal. In this relaxed but intensive exchange Massumi discusses the nature of events, their sensuous and affective forces, immaterial art practices and their critical potential under capitalism, belief and hope and their relation to political agency. Charged ideas are quietly elaborated against a restless backdrop of everyday life. No Such Thing as Rest is available for public screenings. To book a screening email here.